-9 J Day (Aus) (won at second play-off hole), JB Holmes (US), H English (US), S Stallings (US); -8 C Howell III (US), A Prugh (US); -7 M Laird (Sco), S Lowry (Irl). Selected others: -4 J Donaldson (Wal), I Poulter (Eng), -1 G Owen (Eng). 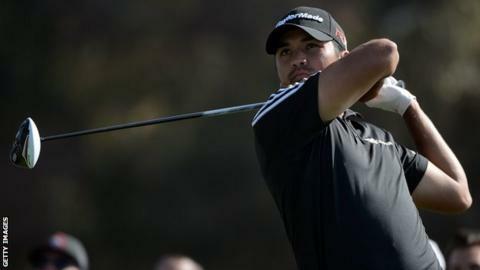 Jason Day won the Farmers Insurance Open at Torrey Pines in a play-off after four men finished on nine under. Australian Day won with a par at the second extra hole after he and American JB Holmes had birdied the first to see off Harris English and Scott Stallings. Scotland's Martin Laird and Ireland's Shane Lowry finished in a tie for seventh, two shots behind the leaders. Englishman Ian Poulter shot a two-over-par 74 to finish on four under in joint 19th with Jamie Donaldson of Wales. "It's an amazing feeling because I've been working so hard for this," Day told Sky Sports in San Diego after securing his third PGA Tour title. "I'm really proud of myself to hang in there and grind it out." Holmes had a 25-foot downhill putt at the 18th to win his fourth PGA Tour title, but it slid by the hole to force him into a play-off. Day and Holmes birdied the first play-off hole, while English and Stallings could only manage par. But Holmes was struggling after a poor tee shot at the par-three 16th, the second play-off hole, and Day held his nerve.